TMJ dysfunction: The temporomandibular joints, TMJ, are the lower jaw hinges that sit on either side of the head in front of each ear. They are responsible for the lower jaw opening, closing, sliding, and rotating. The TMJs are the most body’s most complex joints. The typical person uses them more than 5,000 times a day by talking, laughing, yawning, chewing, eating, smiling, and swallowing. 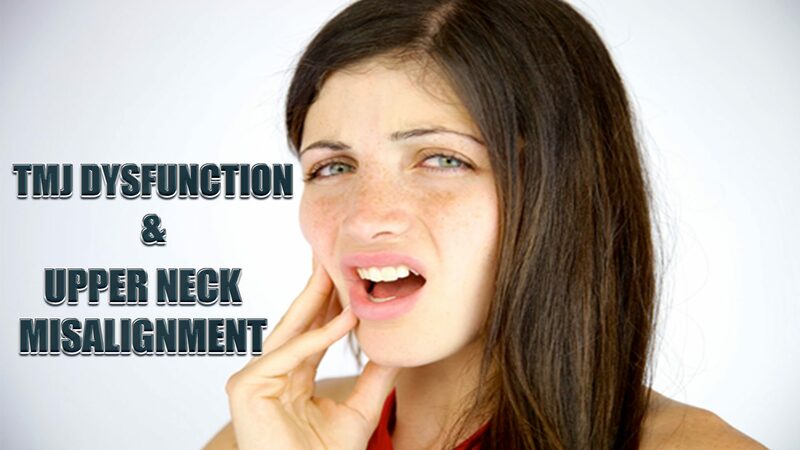 TMJ dysfunction occurs when one or both joints become inflamed or injured causing pain and immobility in the jaw area. Because these joints are used so often and tend to be far more mobile than most other joints in the body, they can be prone to pain. 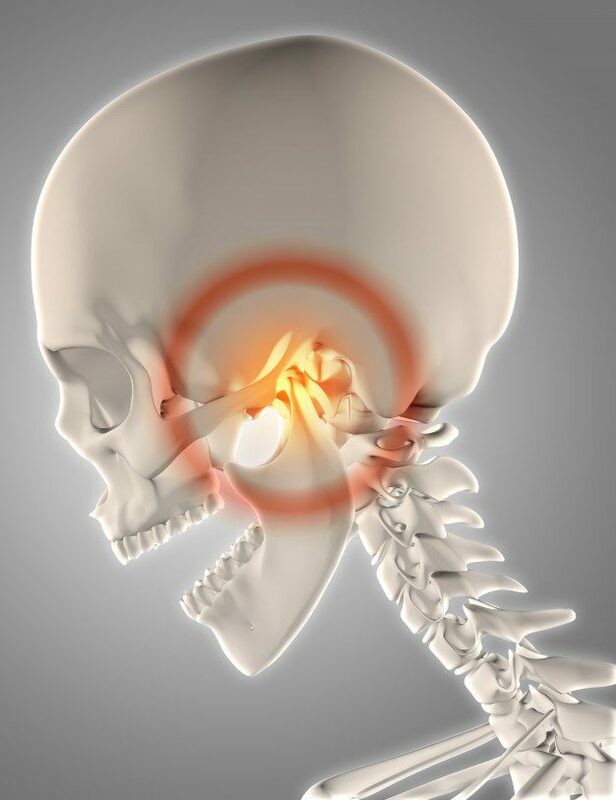 It is important that both joints work together because if they don’t it could result in more pressure on one joint than the other and this could cause the pain and discomfort that is associated with TMJ dysfunction. TMJ dysfunction can significantly impact a person’s quality of life because the pain prevents them from doing many things they normally do, and often the jaw itself simply no longer functions as it should. How Can Upper Neck Misalignment Cause TMJ Dysfunction? When the upper neck sustains trauma such as whiplash it can cause a misalignment. This can also cause TMJ dysfunction in a couple of ways. It can cause one side to work harder or sustain more pressure than the other, or it can put excess pressure on the trigeminal nerve. This causes irritation and inflammation. When left untreated, the condition can become severe. 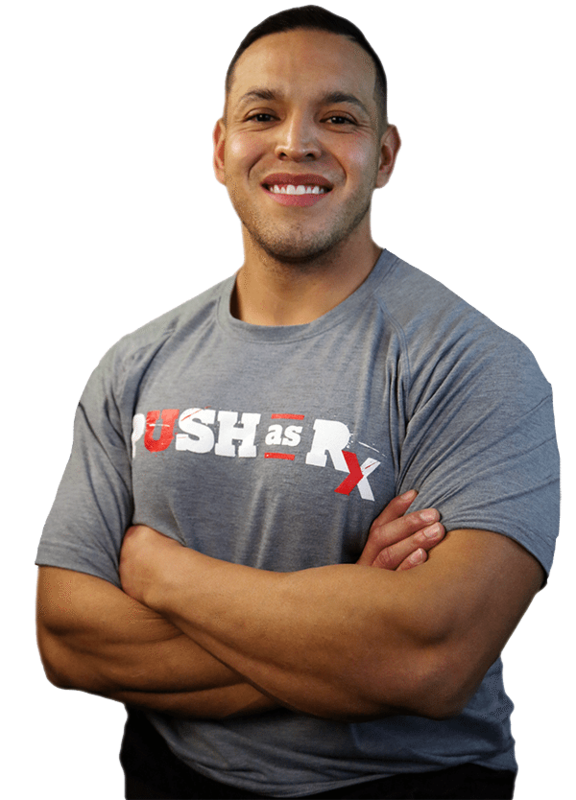 The misalignment keeps the joints from working as they should because opening and closing the jaw pinches the disc. This results in painful spasms in the shoulder and neck muscles when the patient does simple, everyday activities like talking, smiling, eating, or laughing. Chiropractic can be a very effective treatment for TMJ dysfunction, especially if it is due to neck misalignment. A chiropractor will perform spinal adjustments in order to realign the spine and neck, bringing the body back into balance. This will allow the jaw to work as it should, minimizing rubbing or friction in the joint. The patient may also be told to apply heat, massage, and do special exercises for TMJ dysfunction that will help the joints heal and help to minimize the pain. This condition is not always easy to diagnose so it is wise to talk to your chiropractor and get a diagnosis before attempting any treatment or home remedies for TMJ. Regular chiropractic treatment can not only relieve the pain of TMJ and help to heal it, it can also help prevent it. Your chiropractor can be a great ally in this endeavor.